Rich with technology features, the new Instructional Centre at the University of Toronto Mississauga (UTM) is equipped with “smart classrooms,” auditoriums, computer labs, and a technology resource center, providing students and faculty with a state-of-the-art educational facility. 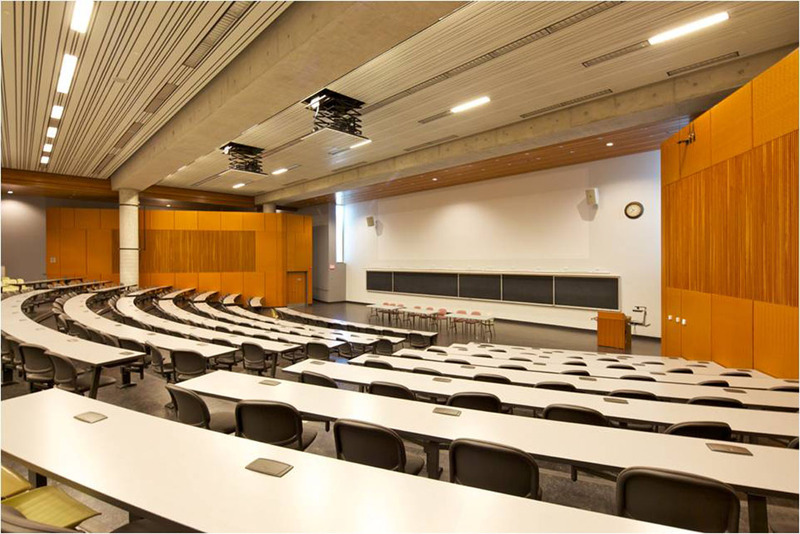 Solving structural challenges for this new 150,000 SF centre included design and construction of the long-span central feature stair and the strategic use of long-span post-tensioned beams over the lecture halls. Through efficient planning and close coordination with the Design-Build team, construction was completed three weeks ahead of schedule. In respecting UTM’s commitment to sustainable design initiatives, this project features renewable energy sources (geothermal heating, cooling, and photovoltaic cells), increased green space and porous landscape, durable and local building materials with renewable and recycled content and green roofs.